Amatzia Chen (Patzi): if writers Oz and Grossman waved the flag of security, the world would be different. 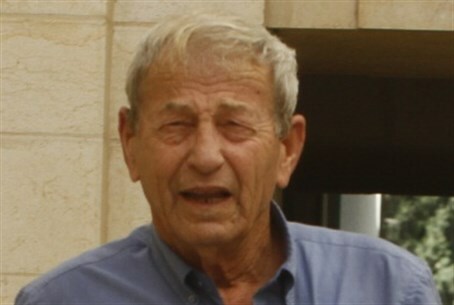 War legend Amatzia Chen, who is mostly known as Patzi, gave a weekend interview to Maariv marking the 40th anniversary of the Yom Kippur War. Chen, who is considered to be one of the IDF officers who killed the most enemy soldiers in his career, said that famed “peaceniks” like writer Amos Oz were actually responsible for more bloodshed that he. Naming three of the most prominent writers in the "peace camp," he said: "If A.B. Yehoshua, David Grossman and Amos Oz were to raise the flag of security instead of their hokum about peace, there would be a different world here. Opinion shapers on their level do not realize that this baloney of 'peace', 'peace' does not happen on its own, and certainly not with enemies. Chen opposed the Oslo Accords, saying that the IDF would not be able to enforce them if they were broken by the other side. History proved him right, he says: 1,400 Israelis were killed and the IDF was unable to prevent this. Chen was also a part of the elite Sayeret Shaked force in the Yom Kippur War, and was a witness to the grievous injuries sustained by Yaakov Katz (“Ketzaleh”), who later went on to become a Knesset Member.